The boat parade from Mussel Bed Cove along the shore of Lewisporte Harbour has been taking place since the beginning of the Mussel Bed Soiree. It symbolically connects the mussel bed to the town. Originally, it was a daytime event, but in recent years it was changed to nighttime so that the boats could be lit up and put off a better show. This has been very popular with the residents and visitors, seeing hundreds of people lining the shore. Traveling at night, however, creates some safety concerns, and it also makes seeing boat names difficult for the judges, so for this year, on Sunday August 12, it will be starting an hour earlier. Decorated boats should start showing up at Mussel Bed Cove at 7:30, with a departure time of 8:00. It will be too bright for lights to be very effective, so you will have to get creative in your decorating. To help that along, the Town of Lewisporte is offering prizes for the top 3 boats. First place gets $500, second $300, and third $100. Some years the weather makes holding the parade unsafe, but not to worry, if that is the case, the boats will be judged at their docks. The parade route follows a safe distance off the western shore of Lewisporte Harbour, but close enough to give people a good view. 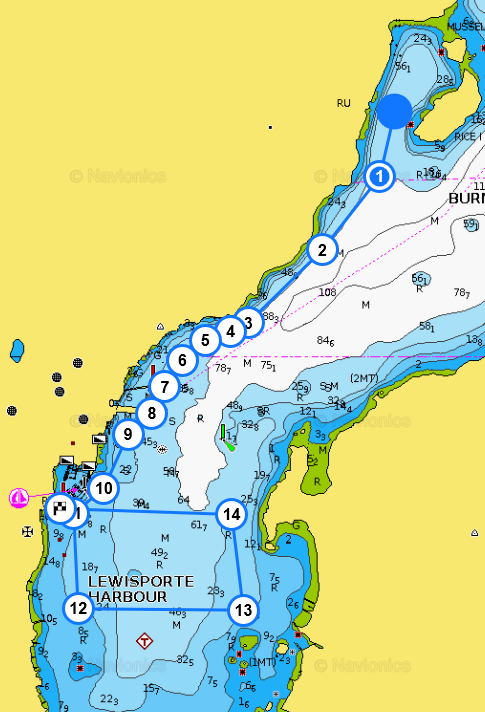 Once past the marina moorings, boats will cross the harbour toward the yellow buoy, and head toward the green buoy before crossing behind the last boat to reenter the marina. Some boats opt to stay out in the harbour until after the fireworks display. Monitor VHF channel 13 for instructions, and maintain a couple of boat lengths from the one in front of you. There is a reception in the LYC clubhouse after the parade where the winners will be announced. Copyright © 2019 Lewisporte Yacht Club. Theme: Himalayas by ThemeGrill. Powered by WordPress.